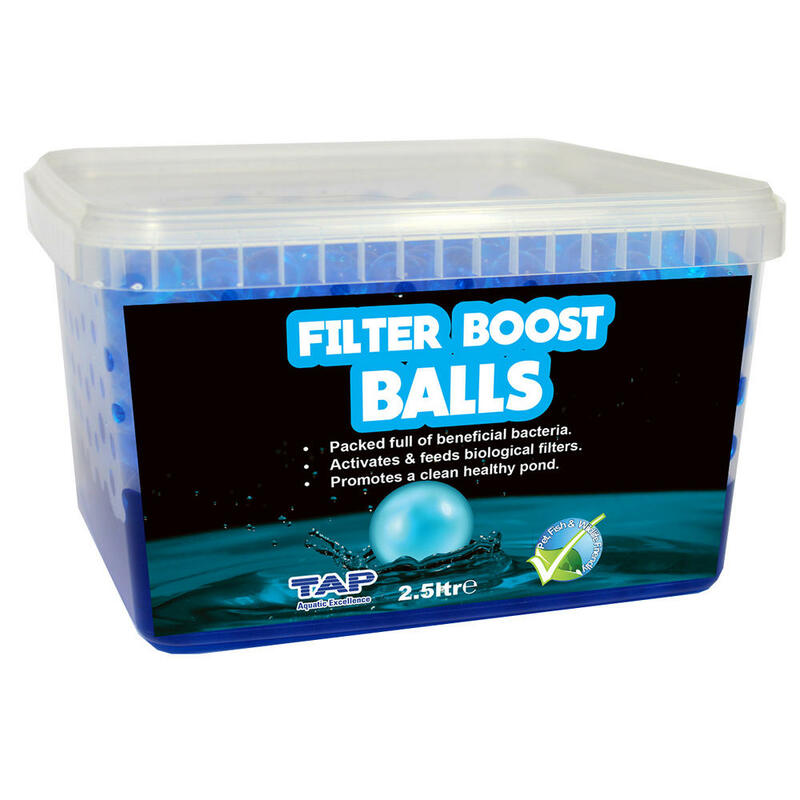 The TAP Filter Boost Balls are an effective and easy to use slow release delivery system that adds beneficial bacteria to a filter. 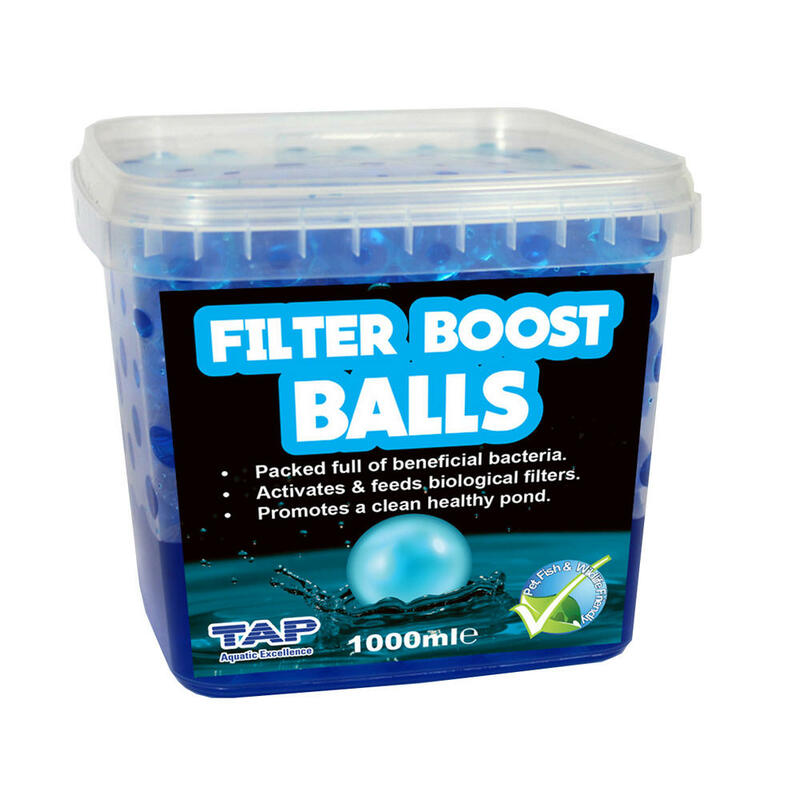 The Balls are packed with millions of friendly bacteria and are immersed in a nutrient rich liquid gel. When added to your filter the biodegradable organic polymer coating breaks down and releases the bacteria. 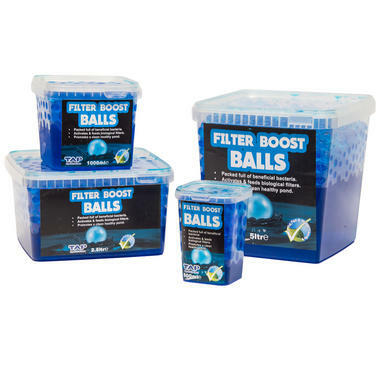 From there the bacteria can then colonise on any biological media in the filter and then grow, multiply and consume fish waste converting it to harmless nitrogen by-products. 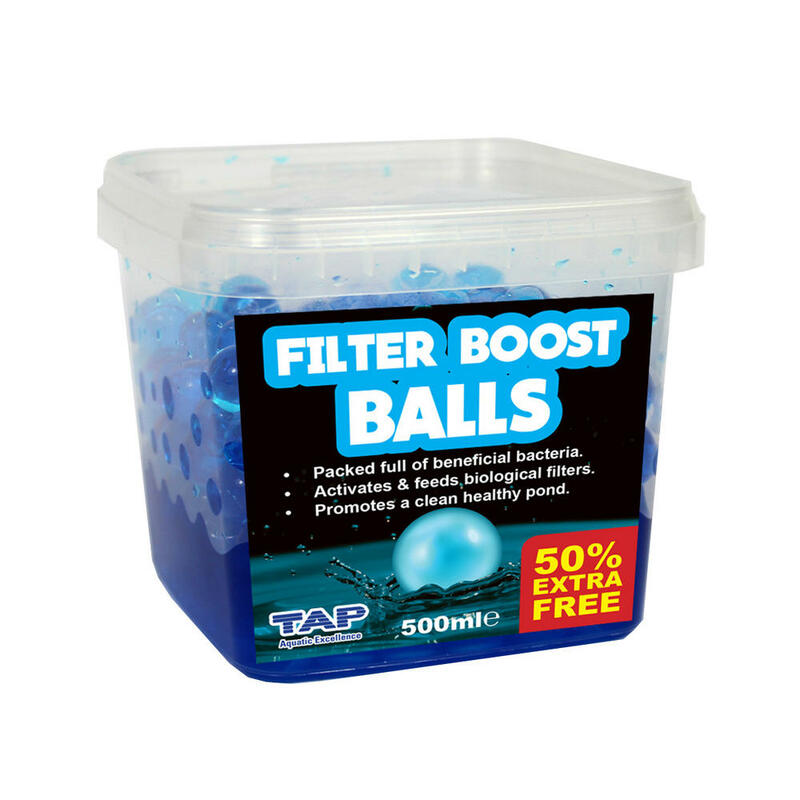 While they contain the friendly bacteria that activates and feeds biological filters, the balls also work to prevent the growth of heterotrophic (unfriendly) bacteria. 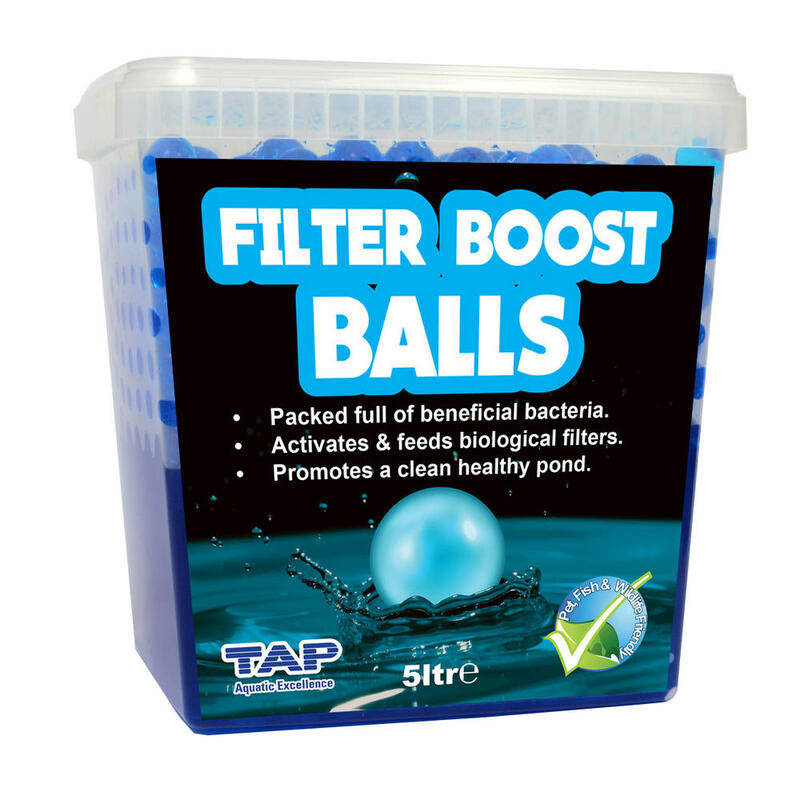 Adding the TAP Filter Boost Balls to your filter system helps to promote a clean, healthy and clear pond and can help in the set up of a new filter in a pond system. Add 100ml of Filter Boost to your filter for every 30000 Litres.